Travelling to France soon? Or perhaps you have just started learning French and want to boost your vocabulary by learning common French phrases? If you’re thinking of travelling to France, you probably heard that the French don’t speak English well and you need to arm yourself with the basic phrases. This is mostly true. For tourists, learning just a few phrases can already improve your travel experience enormously. You need a phrasebook that will equip you with all the necessary words and phrases that will make it easier for you to travel around France. The right phrasebook for you is comprehensive and covers everything you need to enjoy your travel, it also has a phonetic pronunciation guide and an audio accompaniment, plus insights about French culture. FRENCH PHRASEBOOK by Talk in French covers all possible scenarios you may encounter when travelling to France or any other French-speaking destinations: from your arrival at the airport down to some unfortunate emergencies like a sickness or a flat tire. Also perfect for those looking to jumpstart their study of Basic French. Say the right things at the moments you need it most. Formatted for easy navigation, the phrases are sorted into different categories and the clickable table of contents make it easy for you to browse and locate topics quickly. There is also a two-way dictionary provided for French-English and English-French translations. You can find a helpful pronunciation guide at the beginning of the e-book, containing handy instructions on pronouncing French sounds properly. To take it one step further, you can also listen to the supplementary audio material. A holiday in France won’t be complete without sampling its gastronomic delights. With the help of this e-book, you won’t feel lost and intimidated when faced with endless lists of unfamiliar French menu. Explore a huge list of 1,000+ food-related vocabulary and dishes complete with its English translations and phonetics. You’ll never order the wrong French dish ever again! Is this e-book with audio for you? Getting ready to travel to France or kickoff your French lessons? Grab your copy now! This phrasebook covers many situations. Although it is targeted at travelers, it is a great way for me to improve my French. Sometimes I tend to translate literally from English to French and it does not seem quite right, so this eBook helps me to speak correctly. I am a language teacher and this book is full of ideas to help teach my students how to say things when they are abroad. Since most would like to travel when they are older, this book helps give me ideas on what to teach next. A great help for my future trip! I learned French a few years ago but this eBook has helped me to refresh my rusty French. With this French phrasebook I was able to focus mostly on my pronunciation. This is a great phrase books including all situations you might encounter on your travel. It is good for building vocabulary. I listen to each section more than once to get the correct pronunciation (like Frederic). Great tool to add to your French learning. This phrasebook is an excellent tool for those who are strongly committed to enhance their speaking skills. It includes a well-balanced series of topics with a helpful pronunciation guide. I have not spoken French in over 15 years, and I have never been strong at speaking the language but this phrasebook gave me confidence at speaking some basic French without having to learn all of the grammar. I got this book to practice for my Intermediate French Class and I wish I’d had this book when I first started French lessons. It explains the different rules of French Pronunciation in a very clear and comprehensible way. The audio of the book is pretty good too since It makes it very simple and easy for beginners. The best part for me is that there was not only descriptions of why things are pronounced in a certain way, but also audio to go with the lessons so I can actually hear if I’m getting it right. The free mp3 French pronunciation guide that comes with is really great. I’m super stoked on this phrasebook! It has so many phrases I know will come in handy when I go visit France. It’s partly so I can sit down and have conversations with people, but also so that I know what people are telling me. I really liked this ebook, i’ve studied french when I was young but lost a lot of practice. This helps me to remember old things and learn new ones! It also provides so many useful phrases for a trip and tips for tourists in France! I’m a beginner in French and recently got this book. It’s very interesting how the writer seems to be a close friend teaching us this amazing language. I studied English for a long time, and now that I decided to learn a new language, I know how important a phrasebook is. And this one was the perfect choice. There’s no unnecessary words on this book. For sure I will always use its content. And the audio, it makes everything much easier! An important step in learning language for me is listening, and the book offered it in the best way. I really like how straight it is to the point and I hope the writer keep it like this because it’s a very nice and relaxing reading. For me, French has always seemed like a difficult language to get a handle on. Planning a trip to Europe next summer and this is great for practice before I get there. The mp3 pronunciations are very helpful and help me know that I am in fact saying things correctly. This is chock full of useful phrases and I’m not so frightened to be a foreigner in this beautiful country. Well organised and easy to read as no long text is presented. It is focused more on day-to-day activities as shopping, restaurants, asking basic questions. I like explanation about similarities and differences between English and French which helps me with pronunciation. Audio voice is ok, as it is not irritating me after few minutes. Funny and easy, the best parts were “Avoid to Say” and “Why don’t the French get fat?” – those made me smile. Some pronunciations might be confusing, but audio track helps a lot. I bought this book because Its not just about learning french but it also gives you tips about the culture and talks about taboos. Being a native english speaker it’s difficult to speak french due to the pronunciations. I think its very beneficial for students going to study and tourists. Its better than other books as It helps you how to speak french not just read or write. But i think the title is a little confusing, as this book is not just a phrasebook but a complete packaged guide for any person visiting France. I’ve been to France in the past, and after finishing going through this book – my thought is that: I wish I had this book then! Although it works sort of like a dictionary for an extensive list of foods, things and phrases you’re likely to encounter (which is very extensive indeed – think, thick vegetable soup with basil, or that one-of-a-kind Bordeaux wine), it also contains pronunciation guide in the beginning, so it’s safe to say that it’s going to very helpful for complete beginners. From my experience, this book can be your one-stop guide for travelling in France (as it contains some important cultural facts and travelling tips as well!). Overall, great book. I found the accompanying audio very helpful, especially that it was divided in chapters, and the author/narrator uses a comparatively less slow pronunciation, so you can get accustomed to the native situation. I will recommend this to anyone, even if you’re not planning to travel in France in the near future. 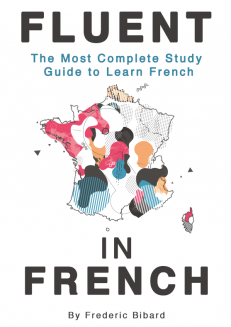 This book can be very helpful, even if you already speak some French. I’ve studied French in school and therefore already know the basics, but I never felt comfortable speaking. This book is perfect for learning exactly that. It teaches you the most important phrases, and even contains a glossary, so you can look up words on the go. It also has a pronunciation guide, for someone who doesn’t know any French yet. It even contains some information about the French culture, and some things to do/not do in France. This book is great for anyone visiting France, regardless of their level of French. I would definitely recommend it over a plain phrasebook, because you get a lot more out of it. It makes you more comfortable with the French language, and that is really the most important thing when traveling to France. This book by far exceeded my expectations. It’s not just a phrasebook, it’s more like a manual for the traveler. 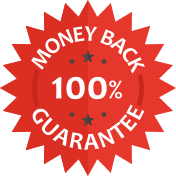 The list of ready phrases is simply huge and very complete. Audio files are a big added value and help a lot to improve the pronounce, I strongly suggest the use of headphones for better results. I loved the part about DOs and DON’Ts, I found myself smiling more than one time while reading it. I recommend this book to who already has a basic knowledge of the French language and grammar. I already had the basics on French, but hadn’t studied in a couple of years so I noticed I was starting to forget much of my French vocabulary. Apart from being a great refresher on the basics of the language, this also helped me with a LOT- really, a lot!- of new and useful words, expressions and sentences. Great layout and content! Perfect for beginners! I downloaded this book because it was recommended to me and the truth is that they were not wrong. The book is pretty good. I’ve been learning French for a few years and wanting to take a trip to France, but I did not dare not have enough French. This book has helped me a lot and now I consider myself capable of at least surviving there. Explains the different rules of French pronunciation in a clear and understandable way. The audio of the book is also quite good since it makes it very simple and easy for beginners. The book, in addition to describing why things are pronounced in a certain way, also accompanies each lesson with audio examples. This book unlike other books, teaches you how to correctly pronounce the words you learn. Good read!